I don't care what you put in the pot I love soups like these. No it's not a typo, it's called Stoup. Stoup is a soup and stew combination because it's so thick and hardy. This is so full of vegetables and really thick, just perfect for those cooler days when you need something to warm you up that's also comforting but still be a whole filling meal. 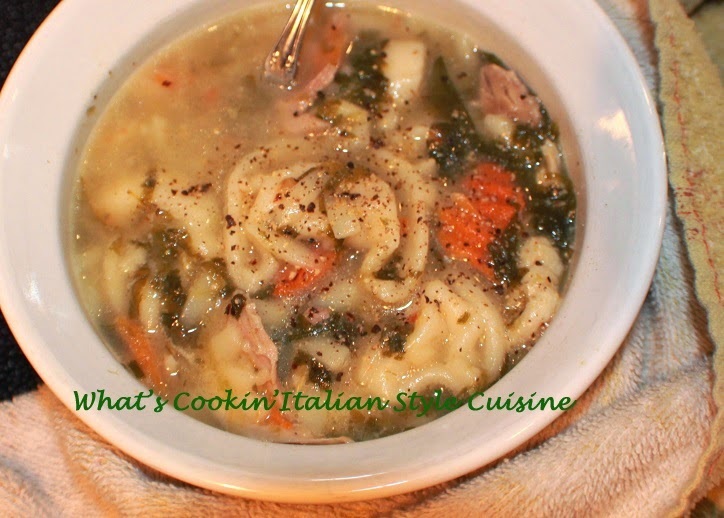 I really love homemade egg noodles in this stoup when there is time to make them. The recipe is basic so you need to enjoy the vegetables in it your family prefers. I also like to chop the vegetables and chicken into smaller pieces so everything fits on the spoon in one scoop for the stoup. No pun intended. 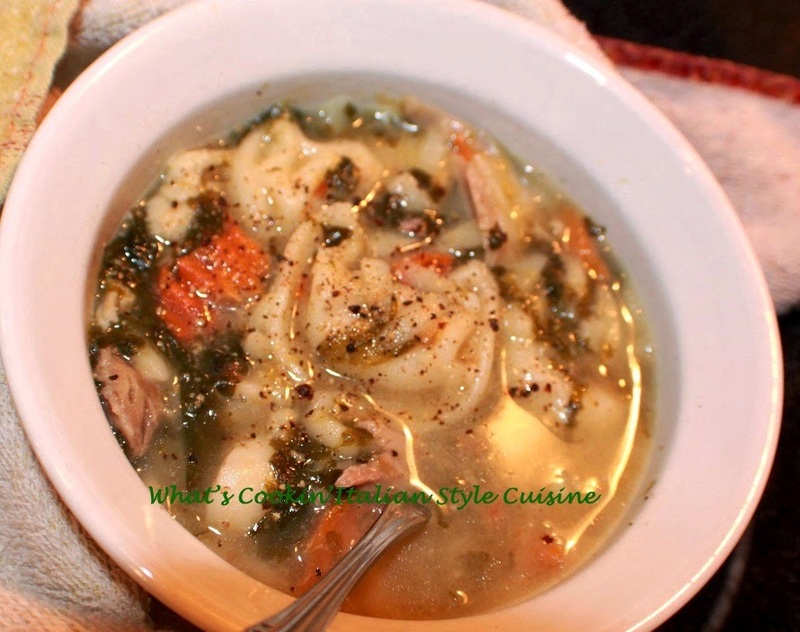 So lets get started on our Stoup! Optional: mushrooms, butter beans, Italian sausage cubed, chopped onions,corn, peas. Note: you can use other pastas of any kinds or rice cooked and drained to package instructions add at the end when stoup is completed. In a 5 quart soup pot, add the chicken and fill the pot with water leaving space around 3 inches from the top. Boil until the chicken is white removing any scum that forms on the top and scooping out. Add to the pot the herbs and spices, greens, tomatoes and whatever vegetables your using. Simmer until stoup's vegetables are soft around 1 hour. Add the pasta at the end along with stirring in 1/4 cup grating cheese to the pot. Ladle into bowls add more cheese for garnish. Stoup freezes well, just cook the pasta fresh and freeze the stoup before adding. Check my index guide under beans, stews, soups, and chili's for more recipes. Good looking stoup Claudia especially with the homemade noodles.